caramel in the aroma, along with some hay/grass and rice/corn. The taste was rounded... malty, sweet... but a bit too strong with the cream of corn, though (any cream of corn in beer is wrong, IMO). The feel of it was fine... a light medium with some tingly carbonation - smooth overall. Overall - I hate to say it - not so hot... rather gross in fact. I wanted to pour it down the drain. It poured a really dark and clear brown. It had a decent little head, which lowered to a creamy, pale, tan skim. There were stretched rings of lacing. The aroma was a fairly nice one of roasted coffee and chocolate. It reminded me a lot of what Gahan's Iron Horse is like these days, and tasted similar, too - light Nutella - hazelnut, chocolate, and coffee. The finish was a bit sticky, and the feel and carbonation were the same as the Tall Ship Amber. Overall, a decent brew. Glad to see the first Garrison brew I ever had is still OK. This poured a really dark garnet colour - more brown than red, really, with some off-white, creamy head. In the aroma was a bit of toffee, some hops, and a bit of a DMS smell (that grew with time / warmth). I wasn't sure about it after the first sip. I was beginning to think that reds are becoming my least favourite style. It was like caramel with just a splash of something like grenadine - sweet, a little slick - but not in a great way... not in this. It was a bit hoppier and sweeter than expected, and had a touch of something like peat. The carbonation was fine, but a bit pop-like when held in the mouth. The body was medium (maybe on the lighter side), and it had a sticky finish that eventually turned a bit dry. Overall, nothing more than decent at best. This one poured very dark with lots of fizzy brown head. I thought it would look better if it was a bit creamier / smooth. It was watery in feel - a light body, with tingly carbonation. In the nose was coffee, and some dark chocolate. Roasty. It was nicely bitter, a bit bready, and pretty solid. 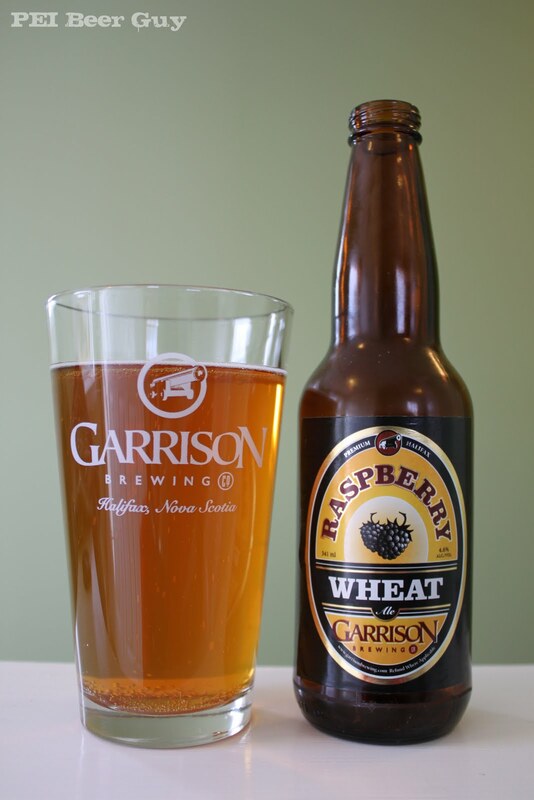 As for the Raspberry Wheat Ale, I enjoyed it as much as I ever have, and as for the Hop Yard Pale Ale, it has continued its slow fall from how much I used to favour it. I find the hop character of it has changed for the worse - more peppery / grassy than it used to be, and not as citrusy. I think their Martello Stout is amongst the finest I've ever tried. Love their IPA too. Tall Ship is a bit too mainstream.